I am very frustrated right now! I am stunned by the poor proficiency level of Amazon’s seller support and customer service representatives. Don’t you need any type of education to be hired by Amazon? Do they even check the resume and expertise of the person?? I highly doubt it! If you have come across my blog before, you know that I am an Amazon FBA seller. I had to write this blog post because the proficiency level of Amazon’s seller support is, bluntly speaking, a joke and Jeff Bezos needs to hear it! I was calling in to seller support to get basic Amazon FBA information, but was transferred four times to different support representatives, and NO ONE could answer my question. Amazon HELLO? Alert! Amazon is, more or less, built on the FBA program. How can their support not know the outs and ins of FBA? When I asked to be transferred for the fifth time to someone with expert knowledge of the FBA program, the woman I spoke with refused to do that. She told me that this is the seller support and you will not get any different answer from anybody else. Well, I doubt it. Amazon does have a few qualified support representatives – you just have to call in enough times to finally get lucky. The seller support representative, I was on the phone with, said that she would email me some information. “Of what?”, I asked her. The problem was that I did NOT get any answer on my question from her to begin with, nor prior support representatives, so I asked her again to be transferred. When she continued to speak over my head again about emailing me, I hung up. Every time you call Amazon’s seller support, you get a new support representative. This would be okay if they would read the thread of previous communication when they see that the case is still open. My product was stuck in a hazmat review of the battery included with it, which I later learned was not needed. When asking seller support how to close the hazmat review (it was impossible to stop it in seller central), five different support representatives gave me information about how to submit your documents to the hazmat review. I told them four times that this was NOT THE ISSUE and that I needed help to get out of the review, but I kept getting the same answer over and over. “OMG! Don’t you guys read the case thread before answering? ?”, I wrote back. I could not take the stupidity anymore, so I created a new product listing instead. The wait on the hazmat review, which took weeks with still no approval, and writing back and forth repeating myself with Amazon’s support, hindered me from getting my product out for sale before the Holidays. I lost out of many potential last minute Christmas gift sales because of the ignorance of Amazon’s seller support. Amazon, It Is Time To Shape Up! These are hardly the only times I am hanging up with Amazon, frustrated as ever, with no qualified answer on my question! Many of the Amazon support and customer service representatives do not have the well needed and accurate knowledge to be of any help. Even worse, is when you hear that the support representative is outside when picking up the phone, and there is so much wind/noise that you cannot hear him. Another time when calling Amazon’s customer service, there were children screaming and a TV playing in the background. The customer service representative also had such a thick Indian accent that it was impossible to make anything out from what he was saying. This is when you say; thank you for your help, call back again, and wish for someone better. Come on now Amazon, this should not be happening! A billion dollar company – constantly growing – cannot invest in good enough customer service and seller support personnel? I am expecting only the best from this online shopping giant, and I think I speak for the many. I was doing product research to find my next profitable product to send in to the Amazon FBA Program, and was looking at statistics in keepa.com. The Keepa extension is a must when doing online retail – which means selling brand name products on Amazon. You can check lots of important estimates, like price history, sales rank, buy box history etc. When checking the buy box statistics for the product I was interested in, I noticed that it had not been in the buy box for a whole year, even that it had a great ranking on Amazon. It seemed strange to me, so I decided to call Amazon and ask if this was even possible, or if Keepa had got the statistics wrong. The product is currently sold by other Amazon FBA sellers, and from what I have learned, FBA sellers are prioritized with Amazon. However, this may not be the case. Something seemed very off with this. First of all, all four support representatives did not know about Keepa. I was surprised to learn this, but was thinking; well, okay, they are not doing product research, so maybe they do not have to know this. 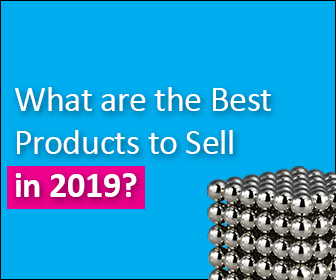 I asked if it was possible that a product – with good sales ranking and several Amazon FBA sellers – could not have appeared in the buy box for a whole year? Like mentioned, I never got any straight answer on this. Since the Amazon support is lacking proficiency, I am now asking you, my readers, if this is possible? If you have any possible answer on this, please share it in the comment section below. I am dying to know. The only explanation I can think of is that the item is connected to another variation that gets the buy box every time. Jeff Bezos sure is a smart man. I give him all the cred to come up with this online shopping giant, and make it unbeatable. However, he seems to be lacking in judgement regarding the importance of educated employees. It really hurts the professionalism when you hear that the customer service representative is taking the call from home, with screaming children and the TV in the background, or when they have such broken English that you just cannot understand them. Let us hope that if enough people make their dissatisfaction heard about this, Jeff Bezos rethinks this issue, and start becoming more selective when hiring for Amazon in the future. Thanks for sharing superb informations. Your website is very cool. I am impressed by the details that you’ve on this site. It reveals how nicely you understand this subject. Bookmarked this web page, will come back for more articles. You, my friend, ROCK! I found just the information I already searched all over the place and simply couldn’t come across. What a great website. I'm glad you found the information useful, and thank you for taking time to leave me feedback. Much appreciated. Please let me know if you have any questions or if I can help you with anything in the future. Just hit me up, I'll be happy to assist. All the best to you and a very Happy Holiday! thanks for letting me know about this, and for your kind feedback. Just a question though… isn’t IE and Internet Explorer the same thing?? You’re telling me it looks fine in IE, but not Internet Explorer. It confused me a bit..